Very good location with a private parking place. The host was very kind. 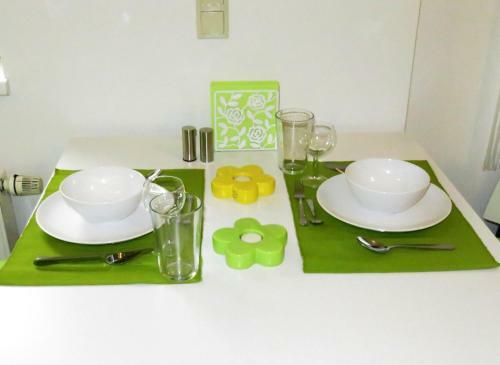 The apartment is great, location is close to groceries store and subway. Clean, comfortable and spacious appartment located nearby one of the busiest streets in Vienna. This apartment has almost all you need. Easy to feel yourself at home. All kitchen staff, fast internet, hair dryer, iron and etc. Washing machine is on a basement. Good for people who hate to travel with a big luggage. Excellent location. The apartment had all equipment we needed for a short stay (including iron, hairdryer and all sorts of kitchen cutlery). Check-in/out was smooth and easy. We had a good time! The young man that was a host was very polite and helpfull. He waited for late checkin and he was giving us the directions on how to find appartment all the time. He was really great! Apartment was on perfect location! The apartment is spacious ( living room + bedroom) and it has everything you need, from oven to coffee machine, hair drier, wifi ( which actually works), iron, flat tv, comfy sofa, ac, fully equipped kitchen and bathroom. You have an underground parking space included in the price, which comes very in handy, because the parking in Vienna is very expensive during week days! The apartment is on the 4th floor but the building has an elevator. Across the street there's s a Spar shop and 200 m away you have a metro station, 4 stops away and you are in the very center of Vienna. Also, good to know is that you have a pizza place nearby ( Disco Volante Pizza) and the food is great, but you need to make a reservation if you want to eat there, if not you can take it to go. The communication with the host was very good, he was super helpful! Definitely recommend it!! Lock in a great price for Flatprovider - Relax City Apartment – rated 8.3 by recent guests! 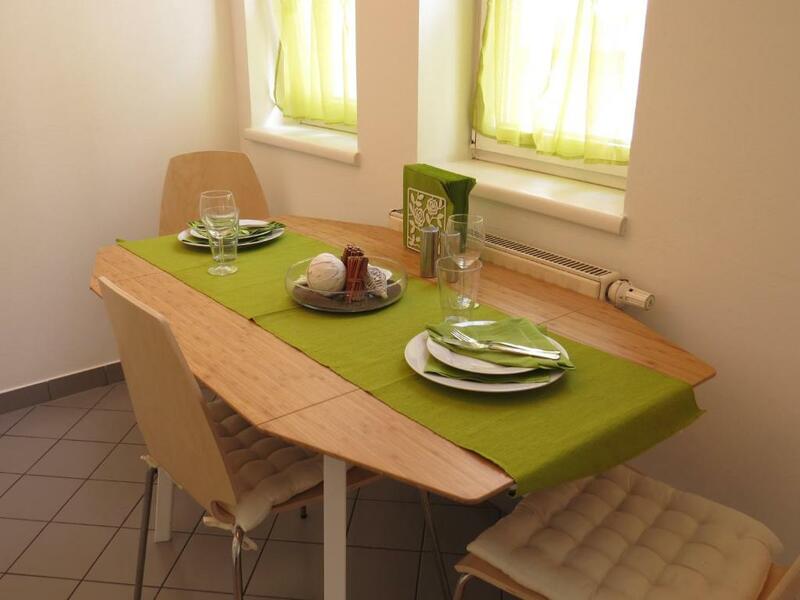 Centrally located, Flatprovider - Relax City Apartment is a self-catering accommodations located in the Vienna´s 6th district. Free WiFi access is available. 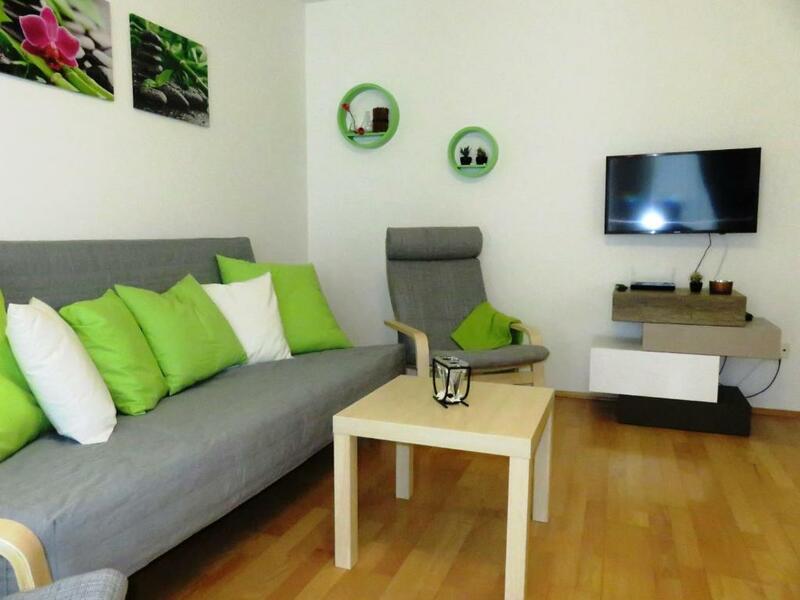 Flatprovider - Relax City Apartment features a flat-screen TV with cable channels and a large seating area. 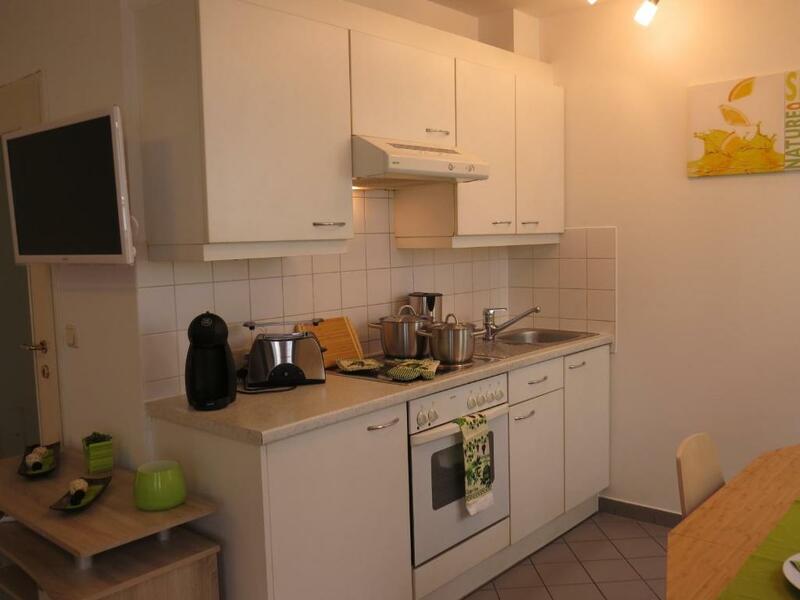 There is a well equipped kitchenette with a dining area. A private bathroom is fitted with a bath tub. Various restaurants are only a few minute walk away, while the nearest grocery store is reachable within 1 minute on foot. The famous shopping street Mariahilferstrasse is 2,450 feet away, while the Wien Westbahnhof Train Station can be reached within 2,650 feet. The property is a 4-minute walk from the Raimund Theater. Upon request and against surcharge, a shuttle service can be arranged. 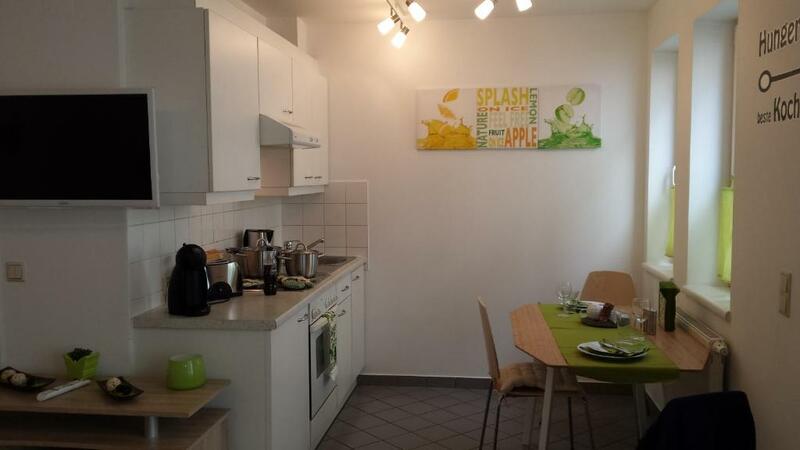 When would you like to stay at Flatprovider - Relax City Apartment? This apartment is set in a building with a elevator. It features a dining area, a kitchenette and a seating area with a flat-screen TV. 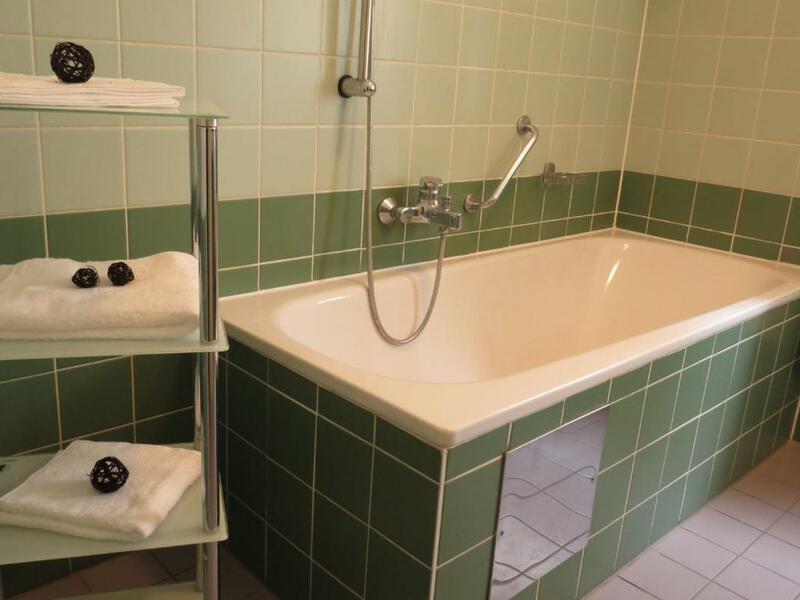 A private bathroom is fitted with a bath tub. 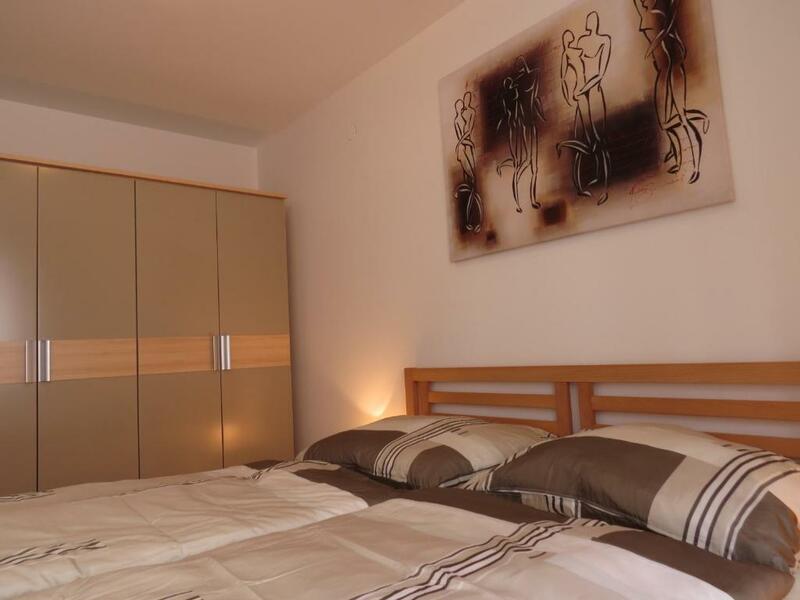 Enjoy the quiet area of your apartment, only a few meters away from the biggest and most important shopping street of Vienna, the Mariahilferstraße. I am happy to meet new people from differenet cultures. If you have qestions regarding cultural events or if you want to do sports during your stay, please feel free and ask me, I am glad to help you. Take your time and visit the pubs and restaurants in the surrounding of your apartment at the Gumpendorferstraße. Visit the House of the Sea (Haus des Meeres) or relax in the coffeehouse on top of the Flakturm in the park of Esterhazy. House Rules Flatprovider - Relax City Apartment takes special requests – add in the next step! Flatprovider - Relax City Apartment accepts these cards and reserves the right to temporarily hold an amount prior to arrival. Please inform Flatprovider - Relax City Apartment of your expected arrival time in advance. You can use the Special Requests box when booking, or contact the property directly using the contact details in your confirmation. The toilet stank. The cupboard in the hall when opened, a dreadful smell came wafting out! Something dead??? Opened it later with the same result. Didn't bother again. The handle to the bathroom kept falling off. No plug supplied for the kitchen sink - had to wash up using a large saucepan. No T towel supplied so we used a bath mat to dry the dishes. The bed was extremely uncomfortable. Kitchen rangehood and bathroom vanity lights did not work. On arrival day - Saturday - we were packing the refrigerator and found the freezer to be completely full of ice. You could not put anything in it. We rang the owner and he said he could not make it today or Sunday to fix the problem. We left the apartment on Tuesday and we still hadn't heard or seen the owner. Cleaning fee of 40e does not pay off, i think that the apartment might be little bit cleaner. To be fair, sheets and rooms were ok, only thing that I dislike is that I found market bill and hair on our bed (from previous residents). But overall, it was clean but it can be little bit cleaner to reach perfect. everything was as we expected it and even better. probably a balcony would have been very useful, especially for smokers, but that's not something the hosts could improve. so all in all, definitely a keeper for your travels to Vienna. Great and spacious flat. Located near the metro station in a kinda quiet location. The host was nice and provided all the information that we needed. Rooms were clean and morning coffee refreshing. Communication about our arrival was smooth. a microwave would have been handy but that's all . great location , excellent wifi , would stay here again . Would be nice to find toilet paper upon arrival 😂! Upon arrival I was greeted with a smile and understanding although we were running late. The flat was spottless and had everything you needed to cook. I enhoyed having fresh cleaned towels that are high quality. I also enjoyed that the young lady that greeted me was happy to answet questions and gave me great directions. 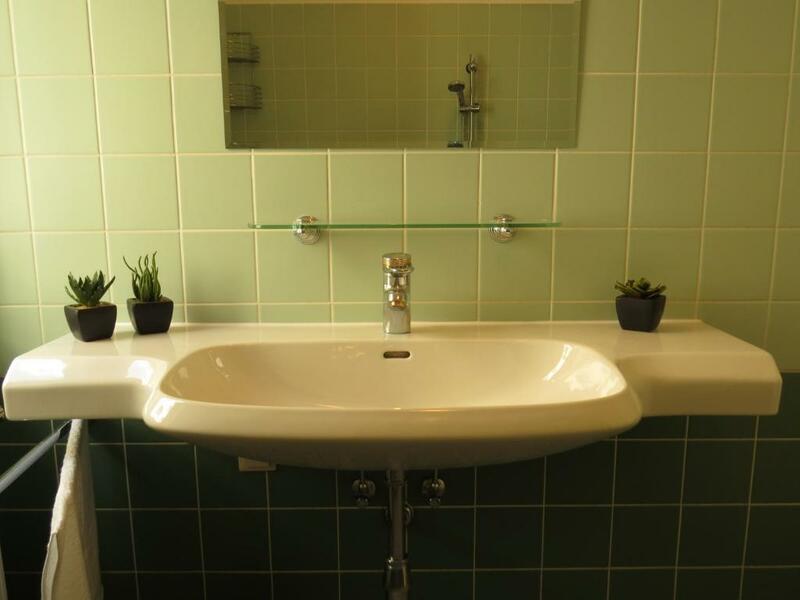 The flat si oerfectly located just 3 min walk to a supermarket. Everything is working in the flat as we used the oven. Has a fridge with a small freezer! TV is smart TV which is great as you can watch watever you want on it and comes handy when you have kids! Congratulations for the spotless cleaning and the easyness of receiving the keys! We highly recommend the flat! Is was not clean properly despite the charge of 39€ for claning fee. The toilet was smelly, dust everywhere and the floor was covered with hair from the previous quests. The bedding sheets were, however,washed and clean. The location was reasonable and there was underground parking. There should be more towels, especially if you are staying for few days. Also, it was quite difficult to park the car, as the entrance to the garage is quite narrow, but the host was of great help. Great location, 3 merto station near. Nice apartment, all facilities. Rather sparingly equipped, kitchen towels, shower floor mat missing, plumbing needs deblocking.. The entire building had MASSIVE problem with pipes and water (on the floor in corridors and uderground parking). Moreover this flat (what hadn't been announced by guy who gave us the keys) has a HUGE PROBLEM with pipes. All the water used in the kitchen (during washing dishes) GONE BACK to bathroom sink and bath tub (!!!). The smell was horrible so that we could use a bathroom at all (closed the door and moved all our thing out of there). The owners and that nice guy who entered us to this flat turned to silence (didn't pick up a phone call). Well, this accomodation should be removed from Booking.com offering. It's nice and clean apartment. Easy to ho to shopping street on foot. It takes 10 mins. It takes around 25 mins to the centre and graben on foot. There is west train station and metro station. It takes 8 mins on foot.